Review&colon; Unless you happen to be a Quaker, most of your impressions of this particular sect probably come from books such as Friendly Persuasion--maybe even right off the side of a box of quick-cooking oats. Nowhere in the popular conception of these soberly clad, peaceable individuals who quaintly address each other as "thou" and "thee" is there a place for either religious zealotry or great wealth. 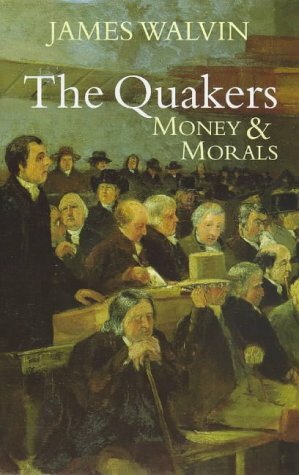 And yet, at one time or another in their history, the Quakers have known both. In The Quakers, historian James Walvin concentrates on the sect's prodigious wealth and how they acquired it. Walvin suggests that, having banned music, art, dancing, and just about every other form of entertainment, the Quakers had both the time and the discipline to concentrate on business. A combination of individual self-abnegation and a well-connected worldwide community of fellow believers helped create such successful institutions as Barclays Bank, Lloyds of London, and Cadbury. At the same time the Quakers were amassing great fortunes, they were committed to worthy social causes as well, chiefly the abolition of slavery. Walvin's study of the culture and contradictions of 19th-century Quakerism provides insight into a little-known side of this religion.